Churchill has been the favourite for the 2000 Guineas ever since his success in the Group One National Stakes at the Curragh last September. He then strengthened his Newmarket claims with a victory in the Dewhurst Stakes, one of the leading two-year-old races in the UK. Like he often does with his Guineas contenders, Irish Champion Trainer Aidan O’Brien has opted not to run his colt before Newmarket. The son of Galileo is a top price of 2/1 to win the opening Classic of 2017 but if you are looking to back the Irish horse, it may be worth taking a look at the best-rated horse betting sites on comparison sites, where you can find reviews, offers and bonuses for each of the leading bookmakers. The leading challenge to Churchill, according to the latest betting on the race, is Barney Roy, who is second best at 4/1 for the 1m contest. The Richard Hannon-trained horse has had the benefit of a run already this season, as he was impressive in the Group Three Greenham Stakes at Newbury. Barney Roy only appeared once as a two-year-old. Connections did not want to rush their well-bred animal so they waited until September at Haydock, where he broke his maiden in nice fashion, scoring by over three lengths at the Lancashire track. 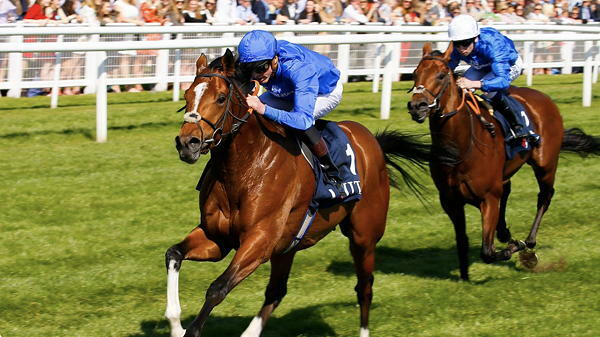 Going into the Greenham Stakes, it was another Godolphin-owned horse in Dream Castle who expected to shine. Barney Roy, with James Doyle on his back, had too much for his rival in the final couple of furlongs as he went away from the favourite, which forced the bookmakers to slash his odds from 16/1 to low single figures for Newmarket. Al Wukair will represent Andre Fabre from France in the 2000 Guineas this year and he can be backed at 5/1 to give his French legendary trainer his third success in this British Classic, as he won the race with Zafonic in 1993 and Pennekamp in 1995. The unbeaten French-based colt came into contention as one of the leading players for the Newmarket contest when he won the Group Three Prix Djebel at Maison-Laffitte earlier this month. He was held up by his jockey Gregory Benoist on the occasion and came with a late surging run to become in control of the race inside the final furlong. The last French horse to win the 2000 Guineas was Makfi in 2010, who prevailed for Mikel Delzangles. The three-year-old colt was a surprise 33/1 winner on that occasion, though. If Al Wukair beats his British and Irish rivals next month it won’t be a huge surprise, as he has been well backed with punters since his win at Maison-Laffitte. 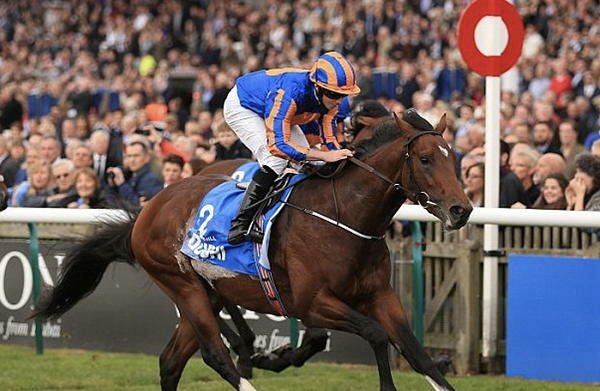 A number of the 2000 Guineas runners also have an entry in the Derby at Epsom, including Churchill who will be looking to replicate Camelot who won both races for O’Brien in 2012.